I have scatter chat that I want to set the X-aizs sacle to Min 1000000 and max 10,000,000 and when I appy that it wont work?? is this a bug? how else I can apply this with script ? 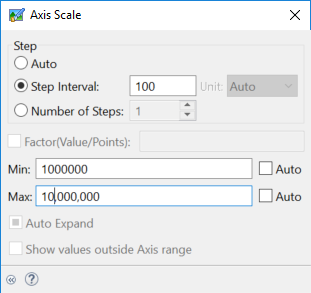 On the same tab as the Scale button (X-Axis properties), uncheck the checkbox labeled "Is Category Axis", then set the scale.